Our recent post on careers and risk taking seemed to interest quite a few people, so I thought I'd expand on some things we did to help minimise the risk of leaving our full time jobs to start Shoes of Prey. If you even have an ankling that you might want to do a startup full time, start saving some money for that now. Mike and I, often with the help of Jodie, had dabbled in various startups over the years. A few years ago we thought that we might want to try it out full time, so we all decided to put start putting some money aside in case we went down that path. When it came to quitting our jobs we each put in about $25k to the business, and we each have enough in reserve to live a reasonable Sydney lifestyle for 2 years without needing to draw a salary. That's been a huge help, it's meant we've been able to bootstrap Shoes of Prey and avoid the time consuming and difficult process of raising capital, and we haven't had the stress of worrying about how we're going to pay our rent. We've had enough time to plan and execute things properly without needing to worry about short term profit at the expense of long term gains, and no doubt that's helped us get to the point we're at now, improving our chances of success. If your startup doesn't work out, and you liked your previous job, an obvious thing to do would be to go back to your former employer if they'll have you. While Shoes of Prey is going very well, should that change and the business not work out, Mike, Jodie and I would all consider going back to our previous jobs. I've since kept in close contact with everyone from Google (that's easy to do given I'm close friends with many of the people I used to work with) and given all the Google products we use, we regularly help out offering ourselves as a case study for various products. That's great for promoting our business as well. Jodie did a similar thing at The Campaign Palace, she freelanced for them after leaving to help with some of the handover of her projects while they put new people in place. We sub-lease our office space from The Campaign Palace and help out with things like brainstorming social media ideas for some of their campaigns. This keeps us from falling into the trap of only thinking about one business, and keeps Jodie in touch with her former employer. Our experience with Shoes of Prey is that there's a lot of work that can be done part time before you need to leave your job. This early stage is also when you're most likely to find a stumbling block that is going to cause the business to fail, and if you haven't left your full time job, that's not as big an issue as it would otherwise be. It's fortunate that we didn't quit our jobs to work full time on our earlier startups Swift City and Darwin Dating, though particularly for the latter, it's arguable it could have succeeded had we worked on it full time, but I don't think the concept really inspired us enough for that. We had the idea for Shoes of Prey in December 2008. We did all our business planning in the first few months of 2009 then Jodie and I took some annual leave to find suppliers in March 2009. The website was going to take Mike either 2 months full time or about 8 months part time to build, so with our business planning and suppliers organised, we figured that was a good time for him to start on the business full time. By August it was clear there was too much for me to do on the operations side working part time so I left Google. We were confident things were going well enough by November to hire Vanessa in China, then by January 2010, 4 months after our launch we realised that if we wanted to build up our fashion credentials Jodie would need to be working full time on the business. Of course the counter to all of this is that "Good is the enemy of great", the theory being that people with everything on the line tend to be more likely to do great things. 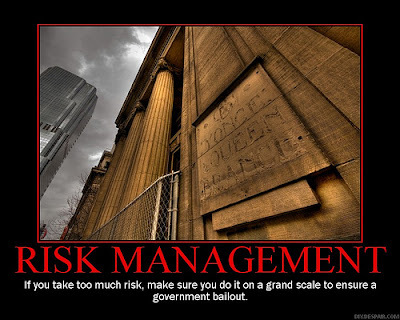 Still, if you have the option I think it's sensible to manage risk. What have you done / are doing to minimise the risk of doing a startup? I'd love to hear your thoughts. Hi Michael, great post, fascinating to see the evolution. My husband and I started Oye Modern http://www.oyemodern.com about 3 years ago. To get it off the ground, we both took 3 months off work - he is the techie and designer, I manage the product, marketing and business ops. Over the last 3 years we've had 3 kids and I've managed part time work in addition to running Oye Modern. Phil is an independent consultant, so when he's not working on client projects, he's working on Oye Modern. I guess our approach is a little more conservative than yours. Oye Modern has paid us back all our monetary investment (about $20k), but it has yet to provide a decent income. Currently I work half days on Oye Modern and half days consulting, 5 days a week. I have recently employed someone to help me 3 hours/day, 5/days a week with the customer service and packaging, so I can focus on growing the business. One thing I never anticipated, was hiring someone before I was able to work full time on the business. When we sat down to do the math, we worked out I could hire someone for less than 1/4 of my hourly consulting rate, which meant that it made good business (family) sense for me to continue "working" half days, and employ someone, rather than do Oye Modern full time. That was an outcome I never expected. Anyway, hope you and your readers find this an interesting, alternative approach! Hi Jeni, that's a very interesting story and it's super impressive that you and your husband have managed to have 3 kids in the last 3 years, while starting a business, and doing other work as well, wow! Employing someone else to work on your business full time before you work on it full time sounds like it makes sense in your case and it's a good point that that's something for people to consider. We did a similar thing employing Vanessa in China (November 2009) before Jodie left her job to start on Shoes of Prey full time in January 2010. It's great to hear that Oye Modern is going well and best of luck with it. I like the idea behind the competition you're running at the moment getting customers to submit photos of them wearing your jewellery.